Essential facts on the latest drive to boost the number of teenagers vaccinated against meningitis. Teenagers and young people are the second most at risk group for contracting meningitis and septicaemia. Due to an increase in the virulent strain of meningitis MenW, the Joint Committee on Vaccination and Immunisation recommended a programme to vaccinate all 14 to 18-year-olds. 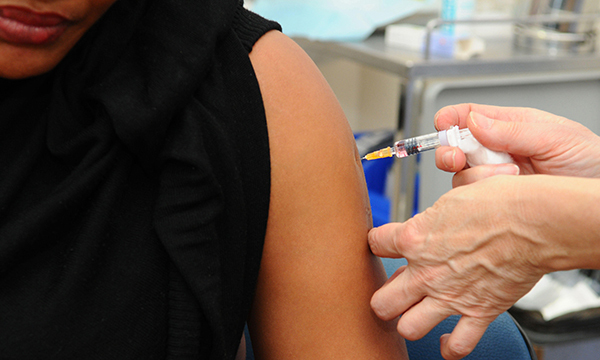 The MenACWY vaccine was introduced in 2015. It stops teenagers from carrying the bacteria, thus reducing the number of carriers and preventing the spread of the MenW bacteria. The programme saw an uptake of 84% in some school cohorts. But in 2015 only 40% of school-leavers from the catch-up cohort had the vaccine, falling to 33% in 2016. The GP Contract 2017-18 encourages general practices to increase numbers of 17 to 18-year-olds who have the MenACWY vaccine. Those who failed to have the vaccine in 2015 and 2016 (students born between 1 September 1996 and 31 August 1998) are still eligible, as well as all first-time university entrants until the day before their 25th birthday. Early symptoms of meningococcal disease include headache, vomiting, muscle pain, fever, and cold hands and feet. A rash of tiny red pinpricks may also develop once septicaemia has set in. If it is a meningitis rash, it will not fade when a glass is pressed against it. The pinpricks can also develop into purple bruising. University students are more vulnerable to meningitis because of living in cramped housing or halls of residence. Students can be exposed to bacteria and viruses that their bodies have not been exposed to before as universities welcome students from all over the world. The Meningitis Research Foundation has an online eligibility checker that calculates if a patient falls within the government’s age cap on receiving the vaccine. Universities can hold pop-up clinics during induction week and offer vaccinations. ‘Meningococcal infection causes a life-threatening disease that often develops suddenly, usually as meningitis or septicaemia. It can cause death, or leave people with significant life-changing disabilities. There has been a rapid increase meningococcal disease caused by the MenW strain over the past few years in the UK. ‘All those up to the age of 25 should be offered the vaccine, and GP practices should target those going to university who are at risk, living in university halls of residence where the infection can easily spread.